Temple of Apollo in Didyma: View of the End of the Ruin of the Temple from the North-East. View of the End of the Ruin of the Temple from the North-East. Society of Dilettanti. 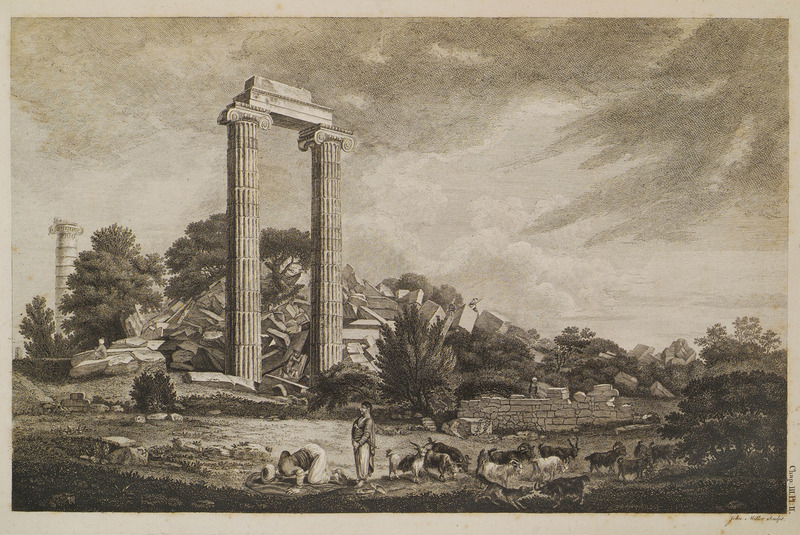 Ionian Antiquities published with Permission of the Society of Dilettanti, by R. Chandler, M.A. F.S.A. N. Revett, Architect; W. Pars, Painter, London, For T. Spilsbury and W. Haskell, MDCCLXIX [=1769]. The Dilettante Society. Ionian Antiquities published with Permission of the Society of Dilettanti, by R. Chandler, M.A. F.S.A. N. Revett, Architect; W. Pars, Painter, London, for T. Spilsbury and W. Haskell, MDCCLXIX [=1769].